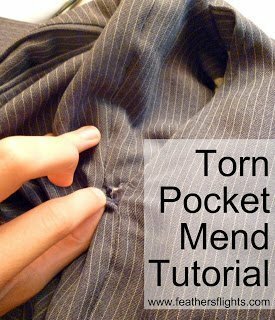 One of the most common tears on a pair of men’s suit pants is when they rip right under the front pocket, and all you need is an easy torn pocket mend tutorial. The pockets always get caught on doorknobs, desks, chairs, and tables. The pockets can be weakened by large wallets and heavy keys. 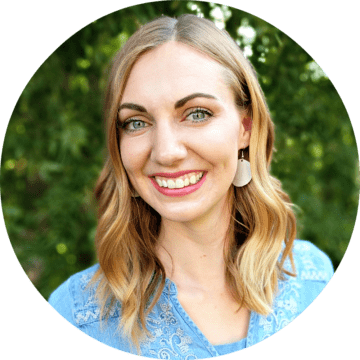 No worries, I have an easy mend for you today. This is one of my favorite fixes. 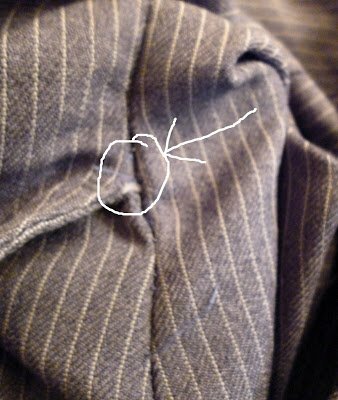 Many times while thrifting, I see a nice pair of donated pants and the only problem is this little tear! 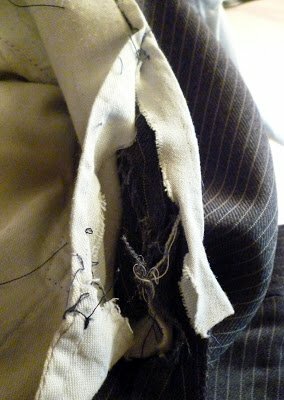 Sometimes when you mend this pocket tear you need to also do some actual mending for ripped fabric. When you look inside, it’s hard to figure out what to do because the seam allowances are usually covered up like this. 1. Unpick the pocket lining that extends past the seam line. See how I just opened the two pieces? 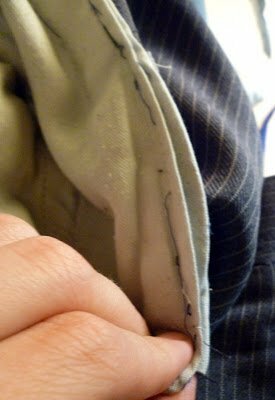 Sometimes there isn’t an extra piece on the pants side, but you would still have to unpick the pocket from the seam allowances. 2. Now that you can see the seam allowances, just line them up. Make sure you line up all the seam allowances. 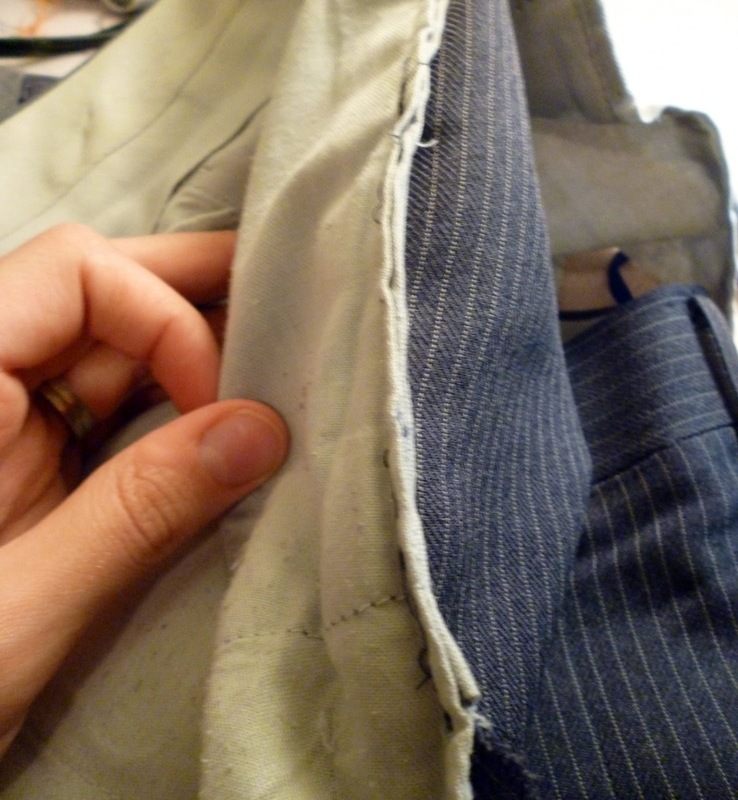 There is a piece of the pocket between the seam allowances that you need to line up. 3. 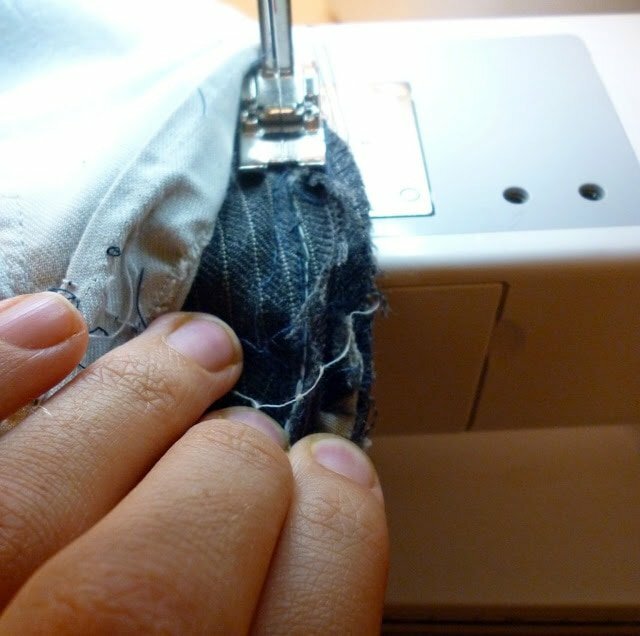 Sew backstitching when you start and end. 4. Check if you caught everything. I didn’t so I unpicked it and sewed it again. Sometimes it takes a couple times to get it right. 5. Line up the lining pieces. 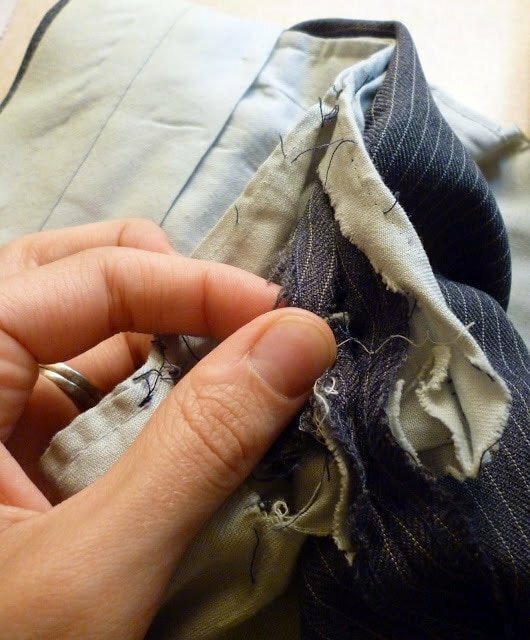 Pinch together and sew the hole closed. 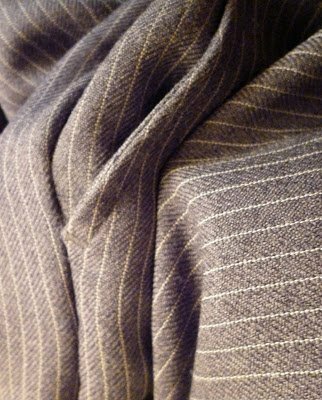 Try to match the color of the thread with the color of the suit pants. Yay, for easy fixes that extend the life of clothing. 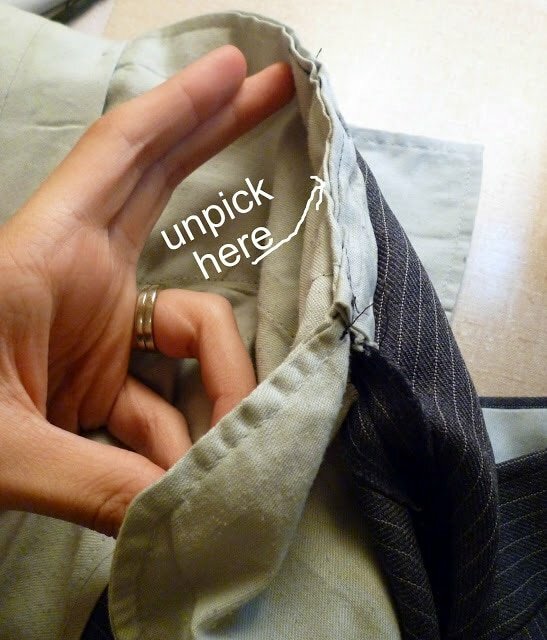 Once you know how to do this it takes about fifteen minutes to fix, and it’s like getting a whole new pair of pants! Oh thanks Heather! I have Josh's suit pants sitting on my machine (the ones he realized were ripped at your place!). Now I know what to do! Thanks!